Don Macallister tweeted this morning about this report which suggests that Google Chromebooks are out-selling Mac laptops by a factor of about five. Here’s the original NPD article. Now, the first thing to note is that they’re talking about unit sales here, not value – and an average MacBook costs about 4 times the price of a Chromebook. So this is about number of users rather than market value. Then Jochen Weiland found this article which paints a rather different picture. So what’s going on here? Well, the thing that’s a bit uncertain is exactly where the NPD statistics come from. This article says that “NPD Group…tracked U.S. PC sales to commercial buyers such as businesses, schools, government and other organizations”, which, if right, would partially explain it. NPD’s pages talk about “US Commercial channels”, and “VARs”. Some readers have suggested that this probably doesn’t include Apple’s retail or online stores, which, if true, would skew the statistics to an outrageous degree. I’m trying to find the answer to that. If the report were about iPhones, then it’s true that the majority of those are sold through other channels than Apple’s own (though Apple’s limited number of retail stores still apparently account for 11% of all US cellphone sales – and that’s just the bricks-and-mortar stores. Or glass-and-mortar, perhaps.). 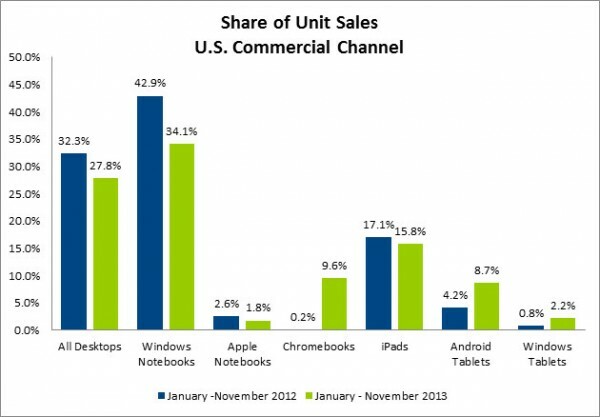 But for MacBooks the situation is very much reversed, and I imagine iPads come somewhere in between. To leave out the main Apple channels is to paint a very distorted picture. And it seems likely that they have done this, because Apple tends not to reveal its sales figures to anyone. At least, not until they want to. So it may be that the article is bunk. 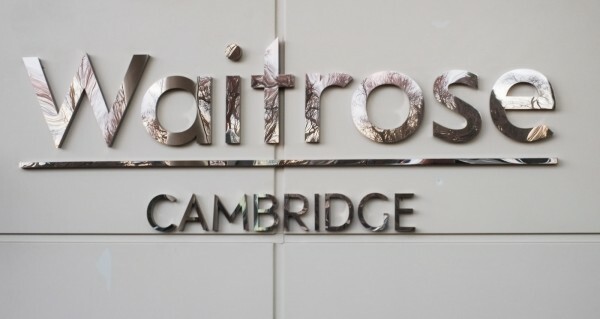 Or it may perhaps be an indication of trends in the institutional world, if not the consumer world. Do you renounce all other princes? It does sound from this Guardian article rather as if Ruth Walker’s main aim in becoming a U.S. citizen was to write an article about the embarrassing naturalization ceremony and to mock the country that has just accepted her. Anyway, it may be that Ms Walker found the ceremony laughable because she knows that the country as a whole was worthy of better. I hope so. I hope, too, that we don’t impose anything so toe-curlingly trite on people becoming subjects of Her Majesty. Mmm. Perhaps we do. Take charge of your batteries! I get through a lot of batteries. This is mostly because of my strange habit of wearing a GPS logging device, which means I always use at least three AAAs every day. But even without this idiosyncracy, the increasing number of flashguns, remote controls, bluetooth trackpads, keyboards and mice, bicycle lights, microphones, voice recorders and other gadgets around the house means that I would have been bankrupt long ago if I hadn’t switched over entirely to rechargeables a few years back. It strikes me that I can’t be the only one in this position. So here are a few ‘workflow’ tips from a seasoned charger, to help you take control of your battery-powered life! 1. Be willing to invest in power! There’s nothing worse than having to find a fresh battery for your remote control in the back of a drawer, just at the moment at which everyone in the family is waiting to watch a movie. Make sure you have plenty of batteries for your needs, and lots left over. Brace yourself, spend a reasonable amount of money, and your life will become easier. It is Christmas, after all. 2. Set aside space for it. 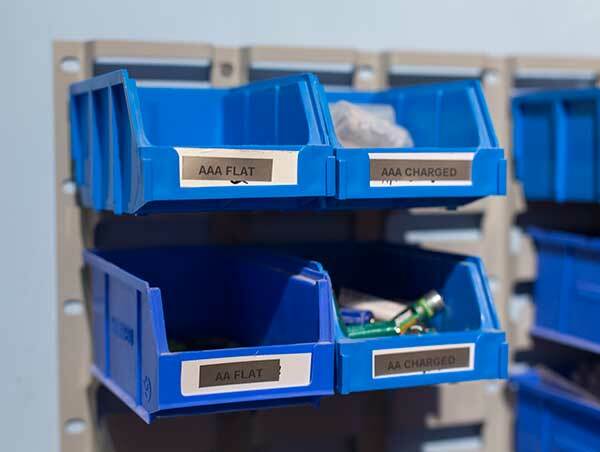 I have four little storage trays labelled ‘AA flat’, ‘AA charged’, ‘AAA flat’ and ‘AAA charged’, and there are typically about 6-12 batteries in each tray, besides those actually installed in my devices. There are always charged batteries available whenever I need them, and when the ‘flat’ trays start to get too full, I stick a batch of them in the charger before I go to bed. There is also a small shelf in our store room which is dedicated to charging. That’s where my iPhone dock, and all the chargers for my various different battery types, live. There’s a multi-way mains adapter so I never have to search for a charger or search for a socket. Makes life much easier. 3. Get yourself good batteries. 4. Treat yourself to a decent charger. I have an exceedingly good one by Maha. Whoa, I hear you say… you spent how much on a battery charger? Well, trust me, it’s possible to spend a great deal more than this, but I went for Maha after seeing recommendations from professional wedding photographers who go through large numbers of batteries every week, and I’ve been very pleased with it. It has fast and slow charging modes, can take any number of batteries from one to eight, but, most importantly, these are 8 independent charging circuits, which means that they will do the right thing even if you mix up partly- and fully-discharged, AAs and AAAs all at the same time. There are smaller Maha ones, but you don’t need to load and unload your charger nearly so often if you can do eight at a time! 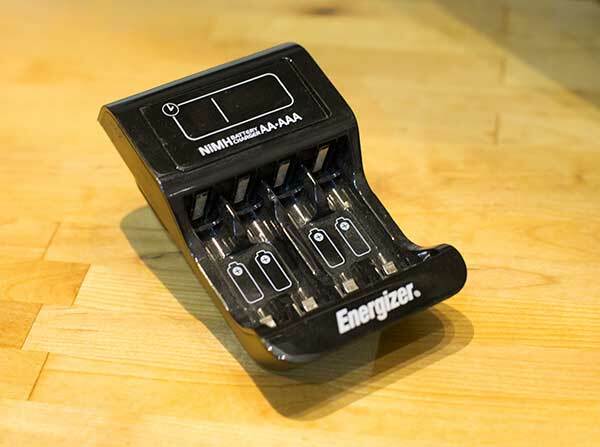 But if that seems like overkill for you, then I recommend the Energizer CHCC-UK, if you can still find it. This has four independent circuits, supports 9v batteries too, and doesn’t try to woo you with super-high-speed charging. Fill it up before you go to bed and empty it in the morning. (I’ve found Energizer batteries to be good, too, though not as good as Eneloops). 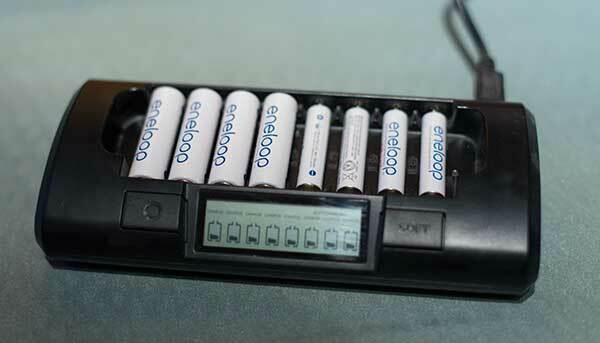 This may have a pretty display, but it only has two charging circuits, so you must insert either two or four batteries at once, and ideally you should always pair up similarly-discharged ones of the same type and age. Too much hassle. It can be hard to find out in advance just what a charger can do; see if you can find the manual online before buying. When I suspect a battery of being near the end of its life, I make a mark near one end of it with a fine-tipped permanent pen, and then stick it back in the charger. If, at a later date, I again find it rather flatter than I think it should be, it gets another mark. Three strikes and it’s out. 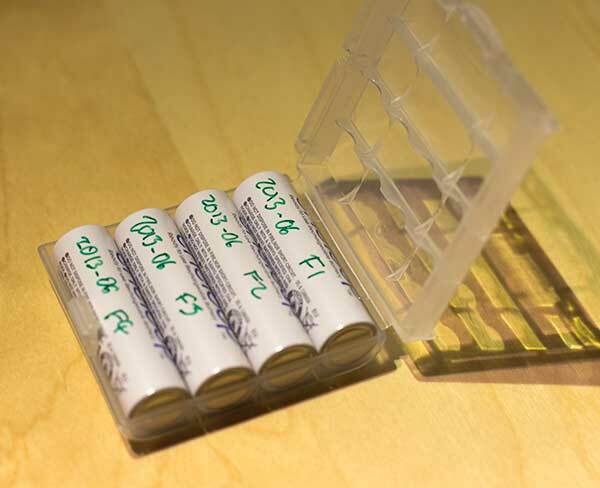 Recently, I’ve taken to labelling new batteries with their date of first use, and a code to help me to keep them together as a batch if wanted. This helps give a clue as to whether a permaturely dead battery is likely just to be discharged, or is in fact very elderly. 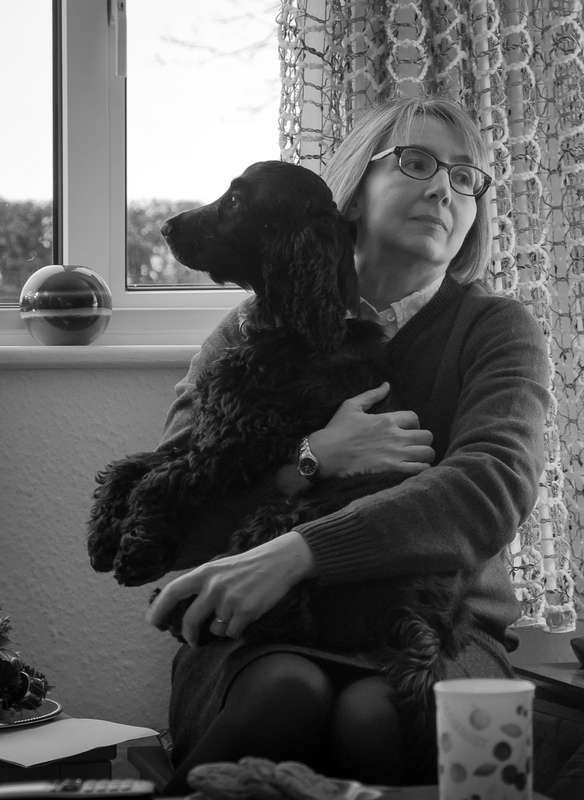 And so we come to the last point – how do you know when they’re dying? 6. Get a good battery tester. You want something that can test various different battery types, and test them under load. 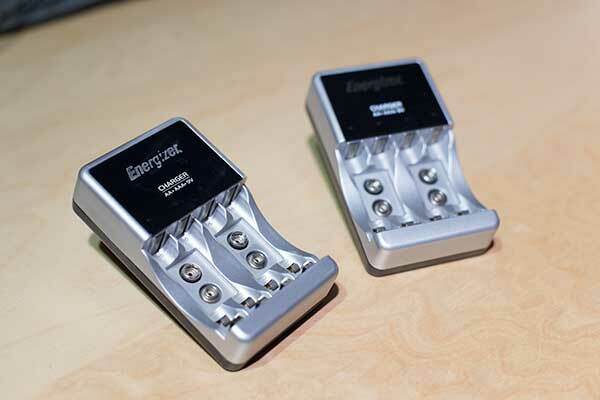 Simple devices will just measure a battery’s voltage, which is useful, but almost anything more sophisticated will give you a better indication of how it’s likely to perform in the real world. You need something that will let you quickly check any batteries before you dash out with your flashgun to that important press event. But you should also periodically review the ones in your ‘charged’ tray to make sure they are behaving as they should and won’t take you by surprise in future. 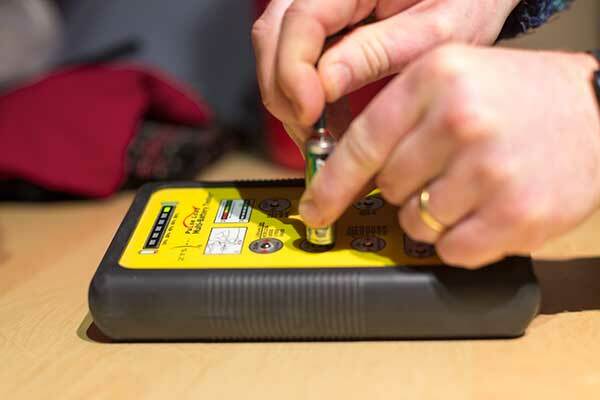 Ideally, you want to check your batteries periodically, a few hours after they’ve been charged, to make sure they’re charging properly, and holding their charge. I’m not that disciplined. I tend just to do random spot checks from time to time, but this is much better than nothing. 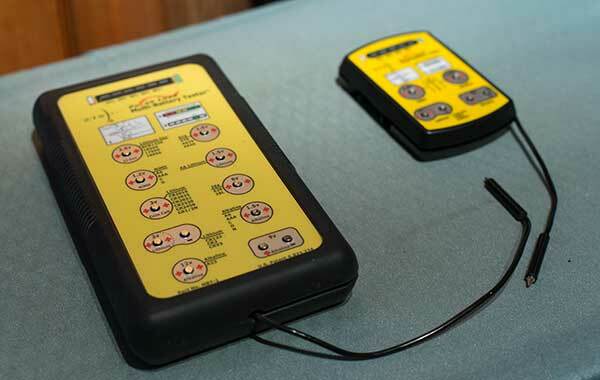 To do this, I use the ZTS battery testers, which can check a variety of different battery types using a test cycle of just a few seconds, and then give you a simple readout. I have a big one for my charging shelf, and a smaller one for the office and when on the road. Once again, you may want to brace yourself before looking at the price, but they’re well-made and I’ve never regretted my purchases. You can get them from Amazon, or, slightly more cheaply in the UK, from here. And if it seem expensive, that’s because I’m a believer in buying good quality stuff infrequently, rather than rubbish on a regular basis! Take control of those little packs of power, and they will be your friends, rather than letting you down in times of need. This system has worked well for me now for some time; some of the suggestions must be useful to others! P.S. In fact, this could be the first draft of the upcoming bestseller, Getting Things Charged. GTD enthusiasts will recognise many of the elements: gathering all your batteries into a limited number of in-trays, processing, sorting, clear labelling, periodic review… it’s bound to be a hit! Many of you will know that I’m currently spending one day a week in the University Computer Lab helping my pal Frank Stajano with a project called ‘Pico’. We’ve been making a little introduction movie, which has been a great opportunity for me to get some more practice shooting video with my Canon 6D, and learning the new version of Final Cut Pro. 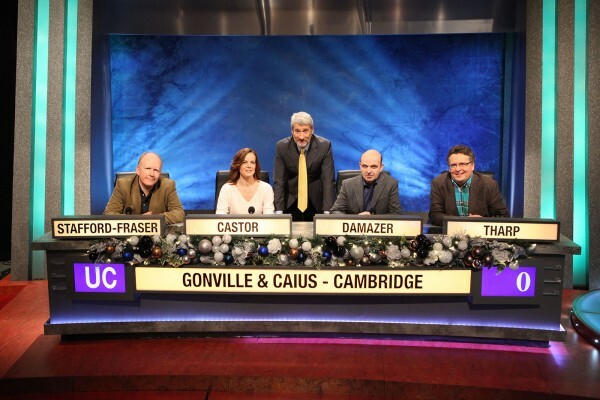 If you’re unfortunate enough not to have anything better to do at 19.45 on Boxing Day, you can watch me make a fool of myself in front of about 4 million people on BBC2. Having said that, I was blessed with really excellent team mates, it was great fun, and overall, we didn’t disgrace ourselves. 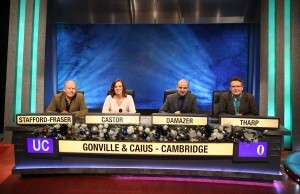 More information on the Christmas series can be found here, and the University Challenge iPlayer page is here. 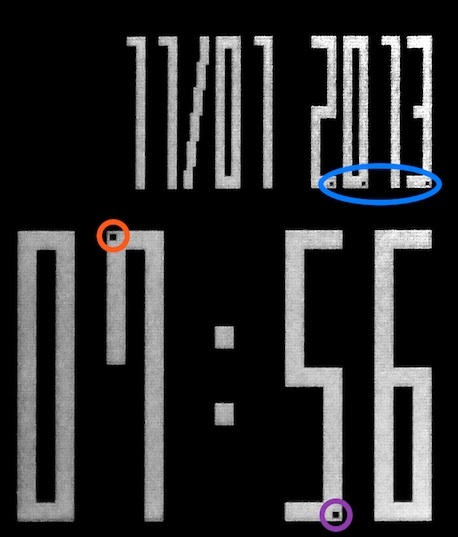 I’m pleased to say that I hadn’t thought of this particular use for my Pebble smartwatch!